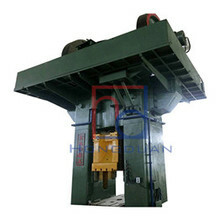 hand crank press is the most important equipment in the stamping equipment, is a kind of motor-driven mechanical transmission press. Crank presses come in many forms and sizes, but their working principle is the same as the basic components. 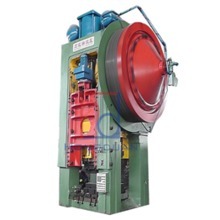 Under normal circumstances, the crank press consists of six major components. (1) Working organization The working organization usually consists of crank, connecting rod and slider. Its function is to change the rotational movement of the crank into the reciprocating motion of the slider. (2) Transmission system The transmission system usually consists of transmission belts, gears, clutches and brakes to transmit the kinetic energy of the motor to the working mechanism through the transmission belt and gear transmission. (3) operating system Control system is usually composed of clutches and brakes, its role is to constantly start the motor, the flywheel constantly running conditions, the control of the work of the movement or stop. (4) The energy system includes the motor and the flywheel. Its function is to provide the nominal energy of the press. (5) The role of the fuselage fuselage is to connect all the parts of the press as a whole, to form a complete machine with a certain degree of precision and rigidity. 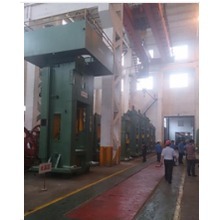 (6) Auxiliary and ancillary devices Auxiliary devices to ensure the normal operation of the press, such as electric control system, lubrication system, overload protection device, slider balance device, etc . ; the other is to facilitate the attachment of technology applications, such as top Pieces of equipment and so on.